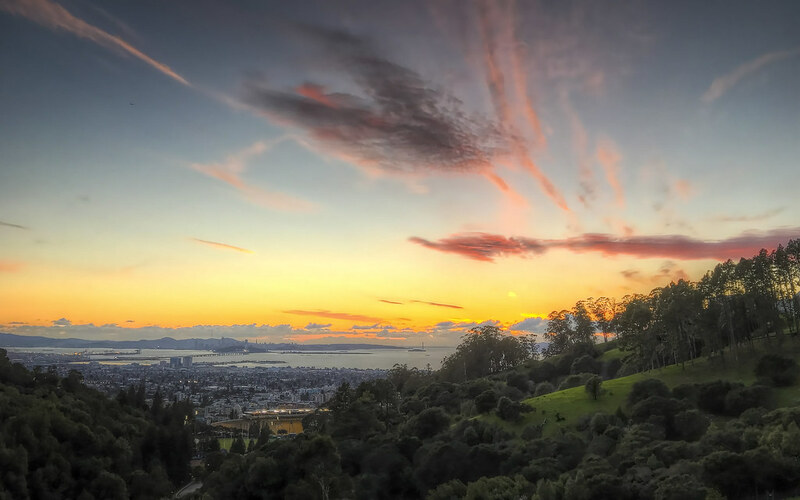 Up in the hills, Berkeley Lab possesses some different environmental features from the East Bay below. As sunsets like this finish the day, frogs begin to croak in the hills and the whole lab transitions from a bustling science facility to a nighttime wildlife preserve. Late-night buses are cautious for deer, turkeys, and even the occasional mountain lion. Beautiful. Yes, California is a different.